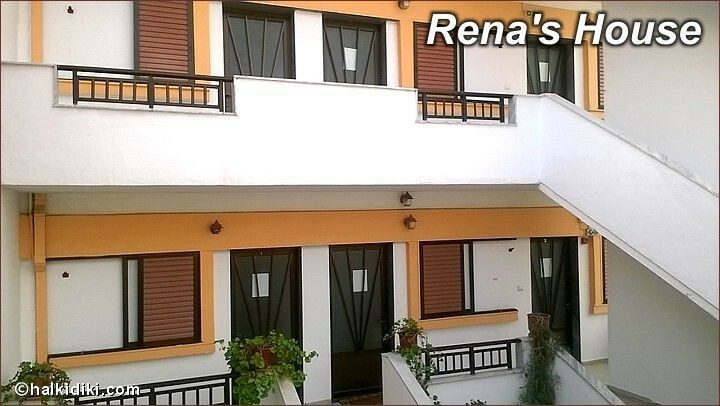 "Rena's House" is located in Sarti, in Sithonia peninsula, and the hospitality offered along with the excellent service will make your stay comfortable and pleasent. 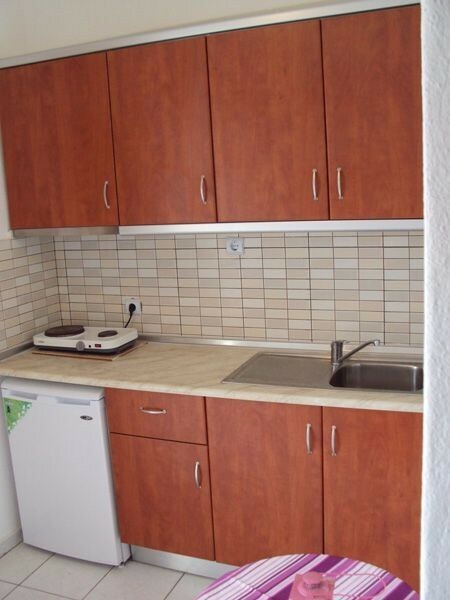 It offers triple studios with a double and a single bed, while an extra foldable bed can be added upon request. 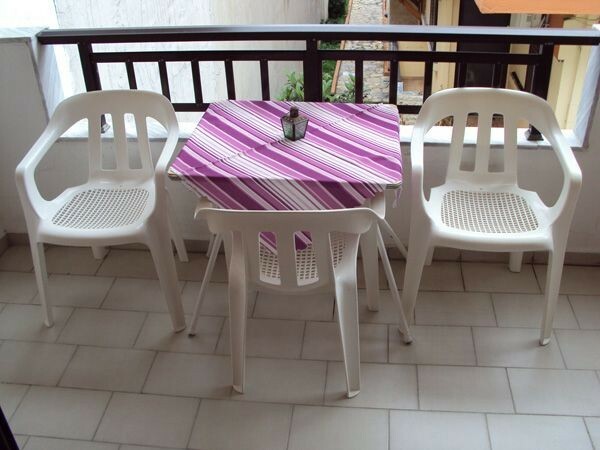 In all studios there is a fully equipped kitchen, WC/shower, satellite TV, Wi-Fi, air conditioning (A/C) and private balcony. Free parking space is also provided. Nearby you will find super markets, a bakery and a butcher shop for your daily shopping as well as a children's playground. 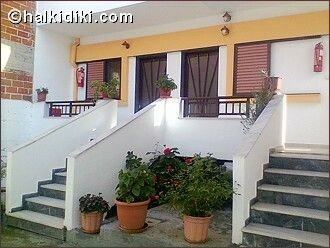 It is located just a few meters (~ 50m) from Sarti's famous sandy beach with its clear blue waters. Here you can enjoy swimming or have a drink or coffee in one of the cafe and beach bars along the beach . "Rena's House" operates from May till October.